Eating shortly before or after a workout will improve the metabolic response to the meal. Conventional Primal wisdom says that you can’t out-exercise a bad diet. Is it true? Kinda. Nothing, except god-tier genetics, will protect you against a diet of exclusively deep-fried food. Even if you were to maintain good body comp, I’d hate to see how you looked on the inside. But that doesn’t erase the fact that training alters the metabolic effects of a meal and the fate of the nutrients comprising it. Research has found that a bout of full-body resistance training done prior to a meal offers more protection against postprandial lipemia than a bout of aerobic training, despite the former burning fewer calories than the latter. Resistance training also sensitizes skeletal muscle to insulin (so you need less insulin to do the same job and can burn more fat as a result) and increases glycogen storage (so glucose fills muscle glycogen stores rather than contributes to energy overload and eventual fat gain). It increases muscle protein synthesis, creating an “anabolic window” for dietary protein to contribute to muscle gain. Anything works, though. Moderate to high intensity aerobic activity creates a glycogen debt that must be filled, so the body oxidizes fat to allow glucose entry into glycogen stores. Low intensity aerobic activity doesn’t create a glycogen debt but does burn fat (and trains your body to burn fat more efficiently). In my experience, full body resistance training using compound movements creates a “black hole” effect. I get incredibly hungry, and no matter what I eat, nothing changes. I even find that after a lifting session, eating more carbs, sugar, and even wheat or alcohol have very few negative effects, almost like lifting makes me more resilient over all. Don’t become wedded to your workouts, though. Don’t fear eating outside of a post- or pre-workout window. The anabolic window opened through exercise lasts for hours, not minutes. Many studies show that exercising today improves the postprandial metabolic response tomorrow. But any type of activity, even just a walk, before or after a meal can really improve how you respond to it. Eating right before bed truncates the sleep-induced fasting state. Everyone reading this blog for more than a few months has picked up on the notion that fasting from time to time is beneficial. Whether it’s skipping a meal or three, going without food for a little while upregulates autophagy, increases fat burning, and exerts potentially anti-aging effects. Sleep is a freebie for the fasting—curious. It’s built in. You have dinner in the early evening and hang out for a few hours. You brush your teeth, take a bath, and relax before bed. Once you’re in bed, you read a good book or engage in something slightly more physical and enjoyable before you actually fall asleep. And then you sleep. 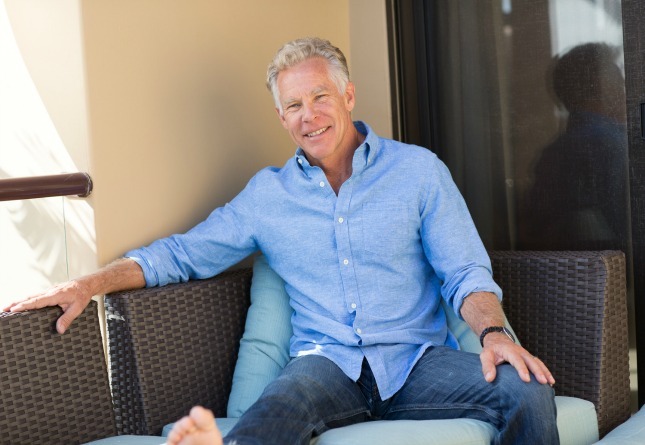 Growth hormone spikes, fat burning skyrockets, cellular repair occurs, brain pruning engages. You wake up and, at some point, eat. That’s at least 8-12 hours (and probably more) of quality fasting time—without even trying. If you eat dinner late at night, you lose valuable fasting time. One recent study even found that skipping dinner or having it in the early evening reduces hunger, increases fat burning, and improves metabolic flexibility (the ability to switch between fat and sugar burning). They didn’t follow the subjects long enough to detect weight loss, but a similar setup led to increased fat loss in rats. However, if you’re a nighttime snacker, meaning you wake up in the middle of the night hungry and end up eating, pushing dinner back before bed or having a snack after dinner can help you avoid it. If you do eat dinner later, push breakfast back a bit. What we’re ultimately after is that 10-12 hour block of not eating anything. I’ve already laid out exactly why skipping or delaying breakfast is not only safe for most people, it’s downright beneficial and often promotes weight loss. Eating with the light may provide a boost to health. There isn’t just one central clock running things. There are hundreds of biological clocks associated with nearly every tissue, muscle, and organ—the “majority of the cells in the body“—and they all respond to circadian entrainment stimuli. Foremost among the entrainers is light. At the right times (day), bright light gets the clocks moving. Eating is another powerful entrainer of the circadian rhythm, with larger meals having the biggest entrainment effects. 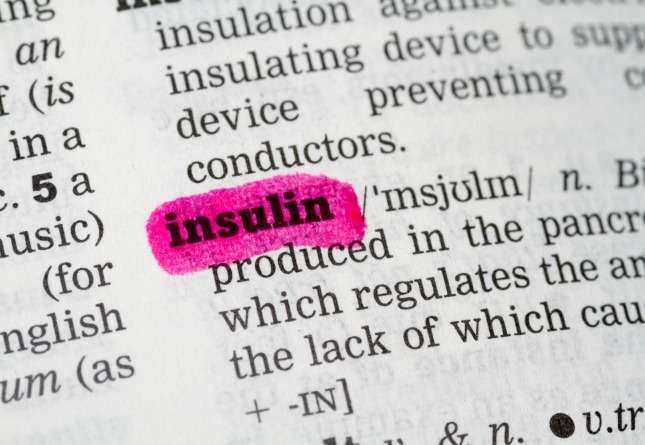 Insulin sensitivity follows a circadian rhythm, and it’s different for muscle and adipose tissue. Muscle insulin sensitivity is high in the morning and declines as the day progresses. Adipose tissue insulin sensitivity is lowest in the morning and increases as the day progresses. This is most pronounced in women, by the way. This is why you have something called “afternoon diabetes,” where insulin sensitivity has degraded to the point of glucose intolerance by lunchtime. 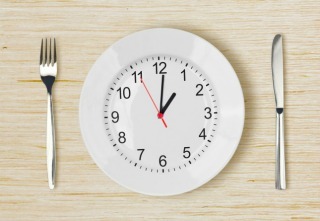 It’s why eating at regular times improves insulin sensitivity and lipid profiles—your mealtimes are attuned to the biological clocks determining your metabolism. Eat with the sunrise, focusing on protein and carbs (to take advantage of high insulin sensitivity and pair two major circadian entrainers—light and a large meal). Eat progressively smaller meals throughout the day. Breakfast like a king, lunch like a prince, dinner like a pauper (or not at all; if you want to skip a meal, skip dinner). More protein and carbs in the earlier part of the day, more fat and low-carb veggies at night to take advantage of the diurnal variation in adipose tissue/muscle insulin sensitivity. I’m pretty lucky. As an insulin-sensitive dude to begin with, I can get away with any type of eating schedule. Always have, probably always will. If that wasn’t the case and I had problems with insulin resistance, I’d probably try something close to what Bill discusses. Find a schedule and stick to it. Once you figure out what seems to work, stick with it. Skip meals if you like, but try to eat at roughly the same time each day. This conditions your body to expect food (and get hungry at the right time, not before), and it improves the metabolic response to eating. In a recent study, the authors actually tested the effect of breaking your eating habits by separating overweight women into habitual breakfast skippers and habitual breakfast eaters and then having them either skip breakfast or eat breakfast. Habitual breakfast eaters who skipped breakfast experienced way more hunger at lunch, had worse blood lipids, and higher insulin levels. They had worse blood lipids and their insulin skyrocketed. Habitual breakfast skippers who skipped breakfast experienced none of these deleterious effects. Meanwhile, habitual breakfast eaters who ate breakfast were more satiated at lunch. They had better blood lipids and normal insulin levels. Habitual breakfast skippers who ate breakfast were still hungry at lunch. Eating breakfast didn’t inhibit their regular lunch-time appetites. Other research has found that maintaining a regular eating schedule improves insulin sensitivity, increases energy expenditure, and improves fasting lipids. Overall, sticking to an (rough, not draconian) eating schedule results in the best metabolic effects. Humans are flexible beings by nature. We adapt. We roll with the punches. We thrive on a wide variety of foods and eating schedules, even if we seem to do best on a consistent schedule—whatever that may be. As always, my message is one of freedom. You make the choice when to eat. You decide. I provide some of the information you might not have considered, and you do whatever you want with it. What do you think, folks? Do you worry about meal timing, or do you just go with the flow? Noticed any differences? Thanks for reading, all. Take care! < Previous postGift Bundle Offer EXTENDED for The New Primal Blueprint! Really interesting post! My current routine is a bulletproof style coffee around 5 am (I blend in collagen and sometimes other stuff and call it my happy, healthy and hot coffee!). I also make a green drink around that time. I will have a small glass and save the rest to sip throughout the day. Depending on my schedule and activity level, I’ll get hungry mid morning and have a meal with protein, fat and veggies, maybe some fruit. Eggs cooked in grass fed butter or ghee with leftover veggies is one of my faves. After that I’m very flexible and will eat when I’m hungry. I find myself hungrier earlier in the day. As long as I’m able to eat enough then, dinner might just be some veggies. But if I haven’t had enough to eat throughout the day, I’ll want a much bigger dinner. I definitely like to have a nice window after eating dinner before I go to bed. I usually take natural calm before bed, but other than that try to go to sleep on a pretty empty stomach. This is what’s working for me now…energy levels are great and I maintain a healthy weight. But I definitely listen to my body. I’d like to try fasting for longer windows, but that coffee in the am is such a treat and a huge part of my routine. I agree with eating when you get hungry. For me, this is usually late morning and early evening. If I stick with 80 – 90 percent Paleo, I don’t seem to get very hungry. I don’t often snack between meals or after dinner, which is around 6 p.m. This might not seem like enough food to some people, but it works for me. I follow a similar eating plan, early morning butter coffee with collagen to give me a little boost in the morning and promote satiety (I’ve convinced myself that this coffee isn’t breaking my fast! lol) until my late morning breakfast of protein, fat and moderate carbs. I will aim for an evening light dinner on this schedule at around 6pm, but on training days will include a Greek yogurt snack before bed to give a little slow release protein as I sleep. After this great blog post I am now contemplating changing things up as an experiment. I love breakfast, so I may try a hearty breakfast of protein, moderate carbs and fats first thing upon waking, a late morning butter coffee followed by mid-afternoon dinner and then shut it down early to start my fast window by 4pm. i really enjoy these blog posts as they provide perspective and ideas on how to keep things fresh…and a good reminder that experimentation is key to find what works for you, while keeping things interesting…thanks Mark! I just eat when I feel hungry. On a low or moderate carb, high fat diet I can go for 6 hours before feeling hungry. I think it could cause eating disorder problems to each even if you’re not hungry. I don’t know why, but I have always been able to lose weight and keep it off if I make a strong habit of skipping breakfast. If I drift back into the habit of eating a little, even a small amount, before noon, I begin to gain weight and not feel well, almost immediately. I have often wished that I understood the mechanism better, and its hard to maintain in the face of all the talk about “breakfast being the most important meal” etc, but it seems that is what I have to do. I don’t snack either–love that I’ve eliminated this calorie hobgoblin! There’s nothing wrong with coming to your meals hungry. I like a low-cal smoothie for breakfast (one fruit, one veg, one protein and spice–not too cold). Oatmeal is good too. In the summer fruit with Greek yogurt. I don’t eat carbs at lunch because as a teacher, it just makes me too lethargic. Salad with protein or soup is better. Dinner, my preference is soup and a light salad and/or cooked greens. And I don’t eat after 7:30 pm!! If I get “hungry” I have a cup of tea, if really desperate a teaspoon of nut butter. Being on a school day schedule at a boarding school with a dining hall my meals are like clockwork, and yes, I like that. How long have you been doing that schedule? I know for myself, if I skipped that many meals, i would slowly eat away at all my fat and then my muscle would be cannibalized. I couldn’t consume enough calories to keep up. But I also have a heavier workout load, mostly in cold water. What does it feel like to only eat dinner twice a week? Hi Clay there is dinner all days! D.A.D. = dinner all days! Lots to digest (pun intended.) My goal has been to wait a while for a breakfast with mostly fat and protein, plus a few carbs, light snack for lunch, low carb, high fat and protein dinner. Realistically, I always have a bedtime snack. I try to make it fairly healthy but if I skip it, I will head to the kitchen in the middle of the night with no will power. Not perfect, I know. But that’s what works for me. Good health except for arthritis. Forgot to mention lots of mostly low carb veg. This is the ONE thing that has made the most difference to my weight/ health, i believe! I’m a 47 yr old female, battled weight since teens really, low fat, you name it, losing & gaining the same 28,42, & after my son 56 lbs overweight. I’d been Primal-ing, on & off, for a couple of years, from a year after after my 5 y/o was born, when I lost about 35lbs on a low fat AND low carb sort of diet. Then i read ” The Obesity Code” by Dr Jason Fung & i think i finally joined the dots. I drink black coffee with coconut oil until I get hungry. Quite often big salad & protein lunch, sometimes a bar (or two!) But eve meal (after school) is 4pm -ish. Hence BIG fasting window. And my weight is finally stable & comfortable, at around 130lbs. I lost about w8lbs since Christmas ’15. Pilates has helped with composition but im not exessive. We work late & school starts early so im not getting enough sleep but still. The book is very informative & inspiring – i read everything ever written on this subject (!) & learned ALOT. I fast for 20-24 hours (Warrior Diet for fasting and Mark’s Paleo Vegetarian diet for food) every day and do a fasted workout at the end of my fast. Then eat all my meals in 2 hours and go to bed 1 hour after my last bite. Trying to make that 2 hours before bed. Loving the fasting and feasting effects. Hope to continue for as long as I can. I’ve always been a breakfast and lunch eater with dinner being mostly for social reasons. Ideally, and what I generally do on weekends, I would eat breakfast a couple of hours after sunrise and lunch 4-5 hours after that. As a practical matter, on weekdays I have breakfast before I leave the house (it’s still dark when I leave the house) except for my heavy lifting before work day, when the workout kills my appetite until at least one hour post-workout. Lunchtime (as defined by work) is at noon. Any time during my life that I have varied from this, weight quickly starts creeping on. Luckily, all I have to do is get back to my regular program for the weight to creep back off. Although not diabetic, as of late the insulin resistence I’ve been told I am genetically predisposed to has started to rear its ugly head. So far I have been able to keep it in check by staying low carb and fasting 14-16 hours most days. As I’ve gotten stricter with myself about IF over the past few months, I’ve also lost about 5 lbs., not that I needed to or was trying to. I never bought into the “big meal in morning” concept. We certainly didn’t evolve that way. Grok and family likely did not eat dinner for breakfast … they just didn’t eat till later in the day. A big meal just puts me to sleep. Even if was a physicsl laborer, an empty stomach (save for BP coffee) means all your energy is directed to whatever you’re doing, rather than digesting a meal. If you struggle w/o breakfast, just drink a whey protein drink. I saw a show about the Hadza years ago. They went hunting before dawn and then bought the kill home and the tribe ate the kill in the morning, so I’m not sure about Grok and family not eating dinner for breakfast. Maybe eating times were flexible and different for differing tribes. I’ve never been a big breakfast eater and it’s the one meal I don’t miss. I’ll have coffee or green tea with lemon in the morning and then have a good early lunch 11.30-12.00, protein, veg or salad and dinner around the same about 6.00pm but a smaller serving than lunch. Working out at the gym kills my appetite so I tend to walk in the morning and exercise in the afternoon 3-4 times a week. Works well for me. I mix it up with a fasting day every now and then and a carb re-feed the same. If I’m out with friends for a meal I do the best I can with the menu and enjoy what ever I eat and the next day I usually do low carb veggies for the day. Addendum : Many cultures around the workd take a siesta after their main meal. Full stomach means time to rest or sleep. I rest my case! I’m usually eating at approx.10am, 2pm and 6pm, for an 8 hour eating window. So I get about a 16 hour food break. My workouts are in the morning and fasted. Two days a week I skip breakfast and have just lunch and dinner. I’m looking to start skipping dinner for an N=1 experiment. So maybe eating an 11am brunch and 3pm meal. So far every meal experiment I’ve tried since being Primal has been a cake-walk (or a bacon-walk)! So does anyone actually know: what is breaking the fast? Is coffee, cream, & collagen breaking the fast? Or is it when you actually chew something? This is something I’ve been wanting to know for a long time, but don’t ever see any information about. I would treat it as a sliding scale, like most things Primal.I guess the cream means ‘sorta’ ‘breaking’ your fast, as in there is an insulin response to dairy, BUT on the other hand it’s apparently not at all like a grain-type insulin response, and if its full (heavy?) cream i’d guess even better fat-to- sugars ratio. (& ollagen no prob id say). I wouldnt count it, i think its a sliding scale, as in Dr Michael Moseley’s famous (in UK) “5:2” diet- the 2 days of ‘fasts’ actually allow for 500 or 600 cals & STILL proved in his experiments to turn on the benefits of fasting. Again i really recommend dr Jason Fung’s “Obesity Code” book (even if not obese)- i think he explains so well the body as in a state of constant flux, with flow in and out of energy at all times, depending on our choices. I’m (sometimes) motivated to forgo that late eve glass of wine after our very late finish at work, knowing how it’ll affect my ‘eating window’, opportunity to grab benefits of fasting easily, & affect the ‘flow’ of my weight/composition over the next couple of days.sorry if i went off topic! Id say sliding scale, all in relation to blood sugar response. Thanks, Clairelou; I just got the book from the library! Thanks, John, these article did provide some clarity, but as usual I have more questions. Like, what in the world is a “dollop” measurement-wise? But since everyone responds differently to different foods, I guess it’s not logical to expect there to be more certainties in IF than there is in any nutrition information! Hi Dairy Maid, I would say a dollop is 1 full tablespoon. This kind of flies in the face of the idea to skip breakfast but load up on lunch and dinner, but instead do the opposite. I must say it makes sense; eat the largest meal when you’re at your most insulin sensitive state (morning), and eat progressively smaller meals throughout the day, then either snack or entirely skip dinner. The only caveat to this is low blood sugar & stress (cortisol). Going to bed with low blood sugar will shoot up the cortisol which will in turn wake you up leaving you with crappy sleep. I suppose this can be alleviated with a small piece of fruit. All you really need to do is make sure you have enough liver glycogen to get you through the night. Now would that piece of fruit wreck the fasting period? Either way, it looks like a better approach would be to move the heavy workouts to the morning, then eat a king sized breakfast, a decent sized lunch, then possibly snack or skip dinner based on the hunger. I used to go on Bill Lagakos’s site and started eating ‘breakfast like a king, lunch like a prince and dinner like a pauper’ until he then had a post about how if you’re insulin resistant, you should probably eat any carbs at night instead. That was the day I decided I’d had enough of visiting many different sites to learn about weight loss, diabetes and health in general. Now, I stick with just Jason Fung, Mark Sisson and Chris Kresser for the most part unless they provide a link to someone else. Dairy Maid, protein and carb break the fast. So collagen is out, but cream, i. e., fat is fine. Have your collagen another time of day. One of the greatest benefits of fasting is Autophagy . Fat actually drives autophsgy. Protein and carbs stop it. I’d still be concerned about the lactose in the cream. Yes, it’s a very small amount if someone only sticks to 1 Tbsp or less, but I guess I don’t want to take in even that small amount while fasting. To each their own, though–whatever works! Since I’ve been working a swing shift my circadian rhythmns are a tragic mess. Anyone know how to work with my diet to mititgate the effects? I’m feeling damaged. Though I know paleo probably helps, it’s not enough. A swing shift schedule is brutal Donna, no way around it. I guess it’s obvious that you’d want your last meal before bed to be lighter. I keep weird hours (not as bad as a swing shift) as an IT guy, I go to bed between 11 PM and 4 AM, I’ve found that a low dosage of melatonin (between .5 and 3 mg) helps me. Maybe it’s a placebo effect per Mark’s article the other day ha, but seems to work for me and there is some research it can be helpful. All the best to you working out strategies to cope with that. It’s worth a try! Thanks. What’s the take, then, of eating your carbs at night when the cortisol is at the lowest level? So this all makes sense; however, it’s the opposite of what is recommended for regulating cortisol. For anyone who has suffered from adrenal issues, this might not work in their favor. Just illustrates that we are all so different, and what works for one may not work for another. As a shift worker/adrenal fatigue sufferer, I’m still trying to figure out what works best for me. Right now I just eat when I’m hungry! I usually don’t comment, though I read every post. But this is really good food for my thoughts. I am female, 28 years old, with still a few pounds too many. I lost around 30 kilograms 3 years ago after I overturned my life in favour of the Primal Blueprint. I pretty much eat real food, though my carb intake might be too high on some days, since I’m on a very tight budged and someday can’t afford better food. As a truck driver, I work different shifts. Contrary to the general impression, my job is everything else then sedentary. I work supermarket delivery, and I have to load and unload the wares all by myself, alone, mostly without any technical help. I move loads (on wheels) up to half a ton at a time. I have to cart them up slopes, down slopes, over cobblestone roads, etc. There are up to 60 units on my truck ,and sometimes I have 2 runs, which means twice that much. It’s a very physically demanding work. Mostly I have a consistent schedule with my eating. I usually eat breakfast before leaving house, no matter the time. On some days I eat only when I get back home from work, but some days I get really hungry in the middle of the shift so I eat at my breaks. I have to eat a meal with my partner after work, closer to the evening, because he demands it, it’s a thing he looks forward to, and after fighting him for almost a year I gave in. I gained a bit of weight because of that. I tried not eating breakfast a few times, but I can’t possibly live through a shift without eating, I get light-headed, very low blood tension, and my strength level is in the basement. Sorry, this isn’t the right place for what I want to say but it’s the most recent, and I need to ask Mark something important. I’ve just watched a TV item on British Sky TV news, about a “new study” saying that saturated fat causes heart disease and that doctors don’t approve of coconut oil. I’m not in the least persuaded as although the interviewee was a doctor, she was sketchy on detail, and hey, we’ve been here before! And I don’t know (yet) who’s responsible for this study. However, an item like that is going to confuse casual watchers a d may lead them to ditch the coconut oil. Any input from Mark, who keeps right on top of these things, would be very welcome! Thanks, guys. I’m not Mark, but my guess is that saturated fat probably can cause heart disease when you regularly combine it with a lot of SAD foods. Two things to remember: 1) Such statements are geared toward the majority (who do not eat healthy food), and 2) nutritional research is often skewed, depending on who’s paying the tab and what they want to accomplish. Thanks for your comment, I couldn’t agree more. I’m just wondering, does anyone know what this new study (!) actually is? I only saw part of the interview, and I bet a lot of other people did, too. That’s what’s so damaging, that we’re busy in the mornings, can’t pay close attention, and the interviewer doesn’t press for info because the news is mostly entertainment. I’m sticking with my coconut oil, because even if “doctors don’t like it” I know that doctors don’t study nutrition overmuch. Maybe just me… but i’ve also found this fast/feast/ ‘as-you-like-it’ Primal thing SO good psychologically. It’s cold outside, or maybe certain times of the month & I eat all the things i intended to avoid (toast, other decidedly un-Primal stuff…well let’s face it, some junk!) But the way i have been able to reframe this is that it’s a “carb refeed” !! And dya know what, i do that, i forget it (though always aiming to choose more real food), & it gives me weight loss rather than gain. If it were a habit-change of a few days or more this would be the reverse. But this rather than eat less=reduce is the more subtle & complex way it seems to work. You can’t fail really, which is why MDA & the Obesity Code book on fasting have been instrumental for me. This makes sense! Thankyou! I’m very curious as to the advice for/from pregnant women. I am currently in my 2nd trimester. Before going (mostly) primal, I had to eat every 2 hours. Now i can go for 4 hours. All bets are off with this (my first) pregnancy! I find myself not hungry but definitely eating that stream of snacks–especially late at night– which only adds to lethargy. Waiting till i’m hungry causes me to be almost frantically ravenous, but if i’ve had to push through hunger during work I usually come out of it feeling better, as long as it doesn’t go for TOO long, i.e. 6+hours. Any experience or advice that can be shared would be great! I want to do what is healthiest for the baby. I also want to encourage a primal baby , which i believe starts in the womb with the mother’s habits. I’ve read some of the baby articles on Mark’s site, but if there is another site (preferably like Mark’s!) that gives advice specific to being primal during pregnancy I would love to know. I’ve never posted to this forum before, so apologies up front for the length of this response. I believe human beings evolved on a fasting/feeding cycle. We spent the majority of our existence actively tracking, hunting, and gathering our food during the day – often completely fasted or with little ingested food. And then we spent the evening relaxing and feasting on whatever we could catch and gather. Remember, ingestion of starchy carbohydrates during the day can spike your blood sugar and insulin levels and slow fatty acid mobilization for 6 hours or more.So essentially you shut down the body’s ability to burn fat if you eat frequent carbohydrate based meals during the day. 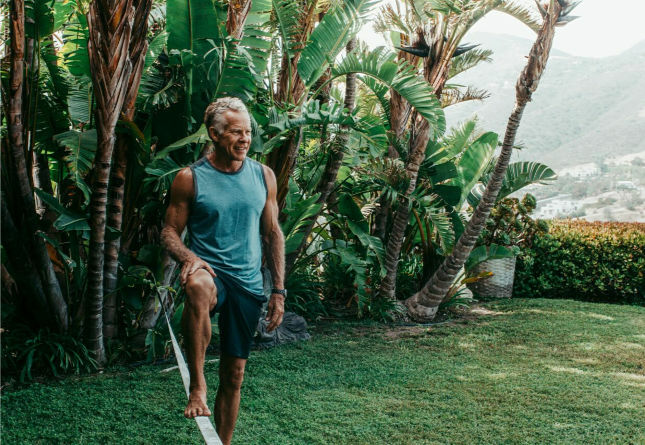 And, if, like me, you exercise late afternoon/early evening – I do this because in humans, the suprachiasmatic nucleus regulates sleep-wake cycles and other daily biorhythms in line with solar time. And peak performances have been found to occur in the early evening,at approximately the peak of core body temperature – and you then follow your workout with the largest meal of the day (this is when I eat the predominance of my carbohydrates – specifically starchy tubers) you should be able to replenish liver glycogen and a certain amount of muscle glycogen, depending on how intense the workout was and, of course, based on how much carbohydrates you consume at your post workout feeding. Now the liver can supposedly hold anywhere between 80g -110g of glycogen and releases glucose at around 6g/hr. Which means that, when full, it should be capable of powering the brain and the CNS anywhere between 13.5 – 18.5 hours. Now depending on when you ate your last meal, and, assuming that it contained carbohydrate sources that could quickly replenish liver glycogen, then once that exogenous fuel source has been fully utilized – which can possibly take up to 3 hours, or more in some, before insulin returns to baseline levels – then you theoretically have a 16.5 to 21.5 hour window where the brain and CNS are being adequately nurtured. So if your last carbohydrate rich meal was at 7PM the night before, this means that liver glycogen would not need to be accessed until as early as 10PM, or even later in some, that same evening. This obviously means that the brain and CNS are well taken care of while you sleep, and that the earliest you may need to consider eating something the next day would be as early as 11:30AM (13.5 hours later), or as late as 4:30PM (18.5 hours later) times of which are dependent on how much glycogen your liver is capable of storing. And when you do next eat something (either 11:30Am and/or 4:30PM as in my example) non-starchy vegetables or low glycemic fruits with your protein and fats should be able to replenish the liver glycogen that was utilized during your sleep. NOTE: During this same sleeping period, the rest of the body is being adequately taken care of, energy wise, by fatty acids. So by “saving” your starchy carbs for dinner and eating lighter Paleo foods during the day,you control insulin and blood sugar levels, maximize fat burning hormones and cellular factors (cAMP), and give yourself a decent stretch of time where you’re optimally burning fat. Fasting or lighter eating is associated with adrenaline, stress, hunger, and the fight or flight evolutionary response. It signals the body to produce energy for activity and improves mental alertness and cognitive function – perfect for when you need to get stuff done. Contrast that with what happens when you eat large, carb-based meals during the day. Energy for digestion takes energy away from activity and productivity. Large meals can also result in rebound hypoglycemia (lower blood sugar following food intake), which results in you becoming sleepy, tired, lethargic, fatigued, unable to focus, “brain-fogged”, dependent on stimulants to get by, etc. Eating this way therefore refuels energy reserves and builds muscle insulin sensitivity and nutrient partitioning to muscle cells improve. This is the way I do it. If you have something different that works for you, then have at it. Grok on y’all!! Firstly Congrats for great work. I usually eat 2 brown bread along with 2 eggs (sunny side up or boiled) & a cup of coffee. Is it healthy? Please advice. This is a very important point. If you want to experiment with intermittent fasting, start by skipping a dinner or two a week. Do not start by skipping breakfast. I think this is a point where individual-to-individual variation matters — I found/find it much easier to skip breakfast (FWIW, there is probably a genetic component as my dad skipped breakfast every day and my daughter rarely wakes up hungry). “…full body resistance training using compound movements creates a “black hole” effect…” YES! I get this after particularly intense workouts (deadlifts, snatches, and front/back squats seem to be most effective at triggering it).